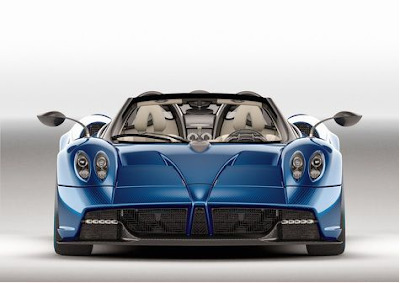 Not satisfied after successfully producing the Huayra Coupe variant that has sold out on the market. 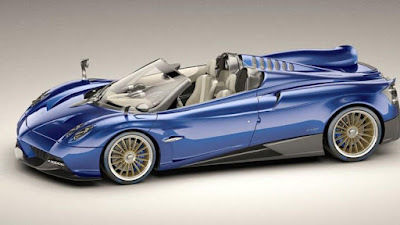 Now, again Pagani Automobili launches a very exotic car in the world. Pagani itself is already known as an automotive manufacturer that is able to present the designs of exotic cars. These new super car named Pagani Huayra Roadster was first introduced by those Italian high-end car manufacturer at the 2017 Geneva International Motor Show in March last year. And the car was made in limited numbers, only 100 models, and did not take long the Huayra Roadster was immediately sold out by the applicants before it was officially launched. Yes, the price offered for this car reaches US. $2.4 million or around Rp.32 billion. When compared with the standard version, this open-topped Roadster is also six percent lighter, or its weight is reduced by the equivalent of 80 kilograms thanks to the use of composite materials. That way, this limited variant has a weight of around 1,200 kg. The suspension does not escape repaired too, in addition to being more rigid, this suspension is made of the latest lightweight alloy material called HiForg which is also 25 percent lighter than the coupe variant. 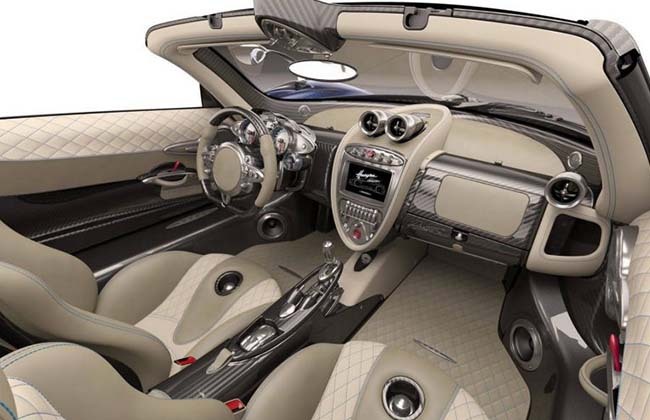 To increase its exoticism, Pagani has made two types of roofs installed on the Huayra Roadster. The two roofs include hard carbon fiber roofs accompanied by glass elements in the center, this is almost the same as the Huayra Coupe display, and another roof made from fabric. Furthermore, the Roadster came up with a 6 liter V12 Mercedes-AMG M158 engine that had tuned its performance. From the engine it can be ejected as much as 754 hp at 6,200 rpm and the peak torque can reach up to 1,000 Nm which occurs at 2,400 rpm. The power from the engine is then channeled through a new 7-speed automatic transmission system. Yes, this is the same transmission that can also be found in the Pagani Huayra BC model. Finally, Brembo provides carbon ceramic discs with a size of 380 x 34 mm with 6 pistons at front axle and 380 x 34 mm rear with 4 piston calipers. 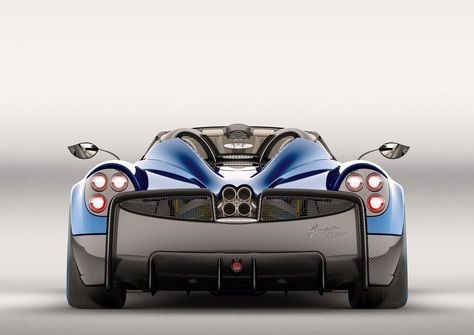 Meanwhile, Pagani is also collaborating with Pirelli in developing a special 20-inch tires at the front and 21 inches behind. Not only that, on the tire wall there is the initials of Pagani's founder, Horacio Pagani (HP).